MIP Colostrum is the ultimate in preserving all the natural transfer factors, increasing and enhancing the bio availability of the growth and immune factors to us. This is why many people take bovine colostrum to supplement their diets and boost their immune system function. Among those who believe that colostrum supplements provide health benefits are trainers, coaches and athletes, people who suffer from chronic diarrhea, cancer or AIDS, and other individuals who want to boost their energy levels and immune system function. 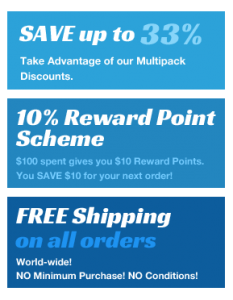 MIP Colostrum is known for supporting the function of the immune system. A involving healthy male adults showed that participants who received bovine colostrum, daily, for 8 weeks developed enhanced resistance to symptoms of upper respiratory tract infection compared to those who received other supplements for the same duration. HIV-positive patients who had chronic diarrhea were treated with an oral immunoglobulin prepared from bovine colostrum. The results showed that bovine colostrum can lead to partial or complete remission of chronic diarrhea in patients with weakened immune systems. A study involving healthy adult volunteers showed that taking colostrum supplements can enhance special immune responses against bacteria such as Salmonella by the increased production of immunoglubulins. A study involving healthy male adults showed that bovine colostrum supplements can help prevent gastrointestinal damage induced by chronic intake of non-steroidal anti-inflammatory drugs (NSAIDs). A study on healthy adults demonstrated that colostrum supplements were more effective than flu vaccinations in the prevention of the flu and its developing symptoms. In high-risk cardiovascular patients, the study showed that two months of treatment, with oral bovine colostrum, can help prevent flu episodes more effectively compared with the anti-influenza vaccination. The authors concluded that treatment with colostrum, either in healthy or high-risk cardiovascular patients, is three times more effective and much more cost-effective compared to vaccination. Numerous studies suggest that colostrum protects against various types of bacteria such as Salmonella, Staphylococcus, Streptococcus, Helicobacter pylori, Campylobacter, E. coli, Listeria, Clostridium difficile, Cryptosporidium, and Shigella. It is also effective against viruses such as H. influenza and rotavirus, as well as fungi like Candida albicans. 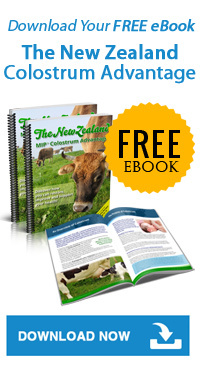 Bovine colostrum contains nutritional components such as proteins, carbohydrates, and fats. It also contains growth factors that function as signaling molecules between cells that activate/deactivate the production of specific proteins in target cells. Best of all, colostrum contains immune factors that boost the body’s own immune function to prevent and fight against disease. These immune factors, which help the body develop passive immunity to various pathogens include the following. Proline-Rich Polypeptides, PRPs, which are short chains of amino acids that have the ability to regulate your immune system. These PRPs work as hormones that control the thymus, a gland that regulates the immune system. It turns up/stimulates anunderactive immune system, or turns off/stabalise an overactive immune system. Antibodies or immunoglobulins: IgG (70-80%), IgA (10-15%), IgM (10-15%) and small amounts of IgE and IgD. IgG is the predominant immunoglobulin in bovine colostrum and its primary function is to recognize and destroy invading pathogens. The primary role of IgA is to protect the inner surfaces of the digestive tract and to prevent pathogens from attaching to them. IgM destroys invading pathogens and enhances phagocytosis (a process where white blood cells ingest microbes). IgE antibodies are involved in defense against intestinal parasites and allergic reactions. IgD stimulates lymphocytes (white blood cells) to produce antibodies by presenting the antigens to them. Lactoferrin and transferrin are natural proteins that bind iron and deprive iron-dependent bacteria of nutrition, thus preventing their growth. Lactoferrin also modulates the release of proteins called cytokines and their receptors to regulate inflammatory resonses. Cytokines are signaling molecules that are involved in cellular communication and inducing white blood cells to migrate to the site of injury. Lysozymes are powerful enzymes that attach to the cell walls of pathogenic bacteria and help destroy them. Enzymes like lactoperidase-thiocyanate, xanthine oxidase, and peroxidase release hydrogen peroxide and oxidize or degrade bacteria. Glycoproteins are digestive factors that adhere to the inner surface of the digestive tract and prevent the attachment of microorganisms. They also help immune factors and growth factors pass through the highly acidic environment of the digestive system. Leukocytes are white blood cells, of which there are 3 types: macrophages, neutrophils, and polymorphonuclear cells. They have the ability to ingest or phagocytize microbes and other foreign bodies to destroy them. Their functions are enhanced when antibodies attach to the microbes first. Brinkworth GD, Buckley JD.Concentrated bovine colostrum protein supplementation reduces the incidence of self-reported symptoms of upper respiratory tract infection in adult males. Eur J Nutr. 2003 Aug;42(4):228-32. Plettenberg A, Stoehr A, Stellbrink HJ, et al.A preparation from bovine colostrum in the treatment of HIV-positive patients with chronic diarrhea. Clin Investig. 1993 Jan;71(1):42-5. He F, Tuomola E, Arvilommi H, et al. Modulation of human humoral immune response through orally administered bovine colostrum. FEMS Immunol Med Microbiol. 2001 Aug;31(2):93-6. Playford RJ, MacDonald CE, Calnan DP, et al. Co-administration of the health food supplement, bovine colostrum, reduces the acute non-steroidal anti-inflammatory drug-induced increase in intestinal permeability. Clin Sci (Lond). 2001 Jun;100(6):627-33. Cesarone MR, Belcaro G, Oi Renzo A, et al. Prevention of Influenza Episodes with Colostrum Compared with Vaccination in Healthy and High-Risk Cardiovascular Subjects: The Epidemiologic Study in San Valentino. Clinical and Applied Thrombosis/Hemostasis, 13(2):130–136 (2007). Solomons NW. Modulation of the immune system and the response against pathogens with bovine colostrum concentrates. Eur J Clin Nutr. 2002 Aug;56 Suppl 3:S24-8.